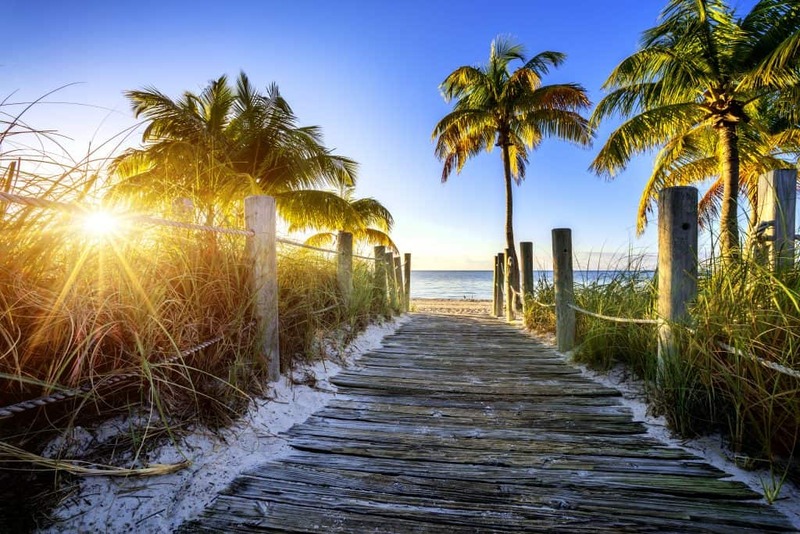 Florida is one of the best states to get away to, especially in the winter: warm weather, plenty of beaches, and lots of attractions and sites to explore. No wonder there are so many RV parks available for people to stay at! State Park Location Open Year-Round? 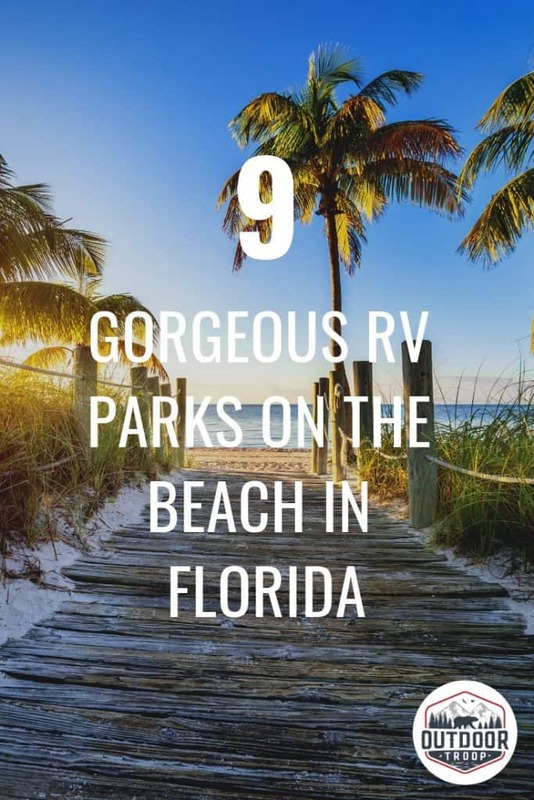 If you’re planning on making a trip to Florida and you’d like to find somewhere luxurious and beautiful to stay at, I’ve got a bunch of awesome RV parks for you to consider and why. Topsail Hill is named for its dunes, which rise like ships’ sails over soft sand beaches and the emerald waters of the Gulf of Mexico. At Topsail, you can view freshwater dune lakes- which is a rare type of coastal ecosystem. This park has three miles of beaches for you to relax and spend your time there. But that’s not all- Topsail has over 10 miles of trails that pass through dunes and pine forests. If you’re lucky, you might see some species that live there such as the tiny and adorable Choctawhatchee beach mouse and pitcher plants that look straight out of Avatar. This park is open all year, so there is no limit to when you can go! And with 156 campsites, you have a good chance of snagging a spot. RV sites provide electric, sewer, and cable hookups. The Park Rangers hold free weekly and monthly programs and events where you can learn about the plants and animals living there and interact with the rangers working there. It’s $4 for every single-occupant vehicle and $6 for vehicles containing 2-8 people. If you have more than 8 people, there will be an additional $2 per extra person. RV camping is $42 per night (plus tax), and there is a $6.70 reservation fee (non-refundable). Florida residents who are 65 years or older can receive a 50% discount. Nestled within the community, the 4 miles of protected and unspoiled shoreline bustling with wildlife will make visitors forget about the hustle and bustle of everyday life. Anastasia State Park boasts over 1,600 acres (or about 4 miles) of beaches and a large variety of wildlife to observe, including 195 bird species such as eagles, osprey, and the vibrantly pink roseate spoonbill. Even if you stay for a day, you’re bound to see at least one of these species hanging around. This park has 139 campsites, and all of them are very close to the beaches, and it’s open all year. Whether you plan on going for a quick splash or relaxing there the entire day, you don’t need to worry about spending a long time just hiking back and forth, especially if you brought a lot of stuff with you. It’s $4 for single-occupant vehicles and $8 per vehicle with 2-8 people. For over 8 people, there will be an additional $2 per cost. RV camping costs $28 per night (plus tax), and there’s a $6.70 (non-refundable) reservation fee. Florida residents 65 years or older can get a 50% discount. I’m inspired daily at Bahia Honda by simple things: the sound of the ocean, its sheer vastness watching the sunrise, walking the shoreline, witnessing how it changes daily providing natural habitats for shorebirds and sea turtles. The history of this island during the Flagler era is a story everyone should know. When you visit you will enjoy the beach and family fun but be sure to stop, look and listen to feel the wonders of this island paradise. This state park is unique in the fact that it’s in Florida… but it’s not anywhere on the mainland. Bahia Honda Key is actually an island just south of Florida, and it’s part of a cluster of islands called the Florida Keys. The fact that it’s an island means that there’s going to be a lot of beach! This park has beautiful sunsets that will leave visitors breathless. Bahia Honda is home to four different species of nesting sea turtles. Between April and October, native species will create nests and lay their eggs on the beach. Depending on when you visit, you could spot some sea turtles during your stay! Single-occupant vehicles are $4.50, and vehicles of 2-8 people are $8.50 each. Every additional person will add $0.50 to the fee. RV camping is $36 every night (plus tax), and a $6.70 (non-refundable) reservation fee. 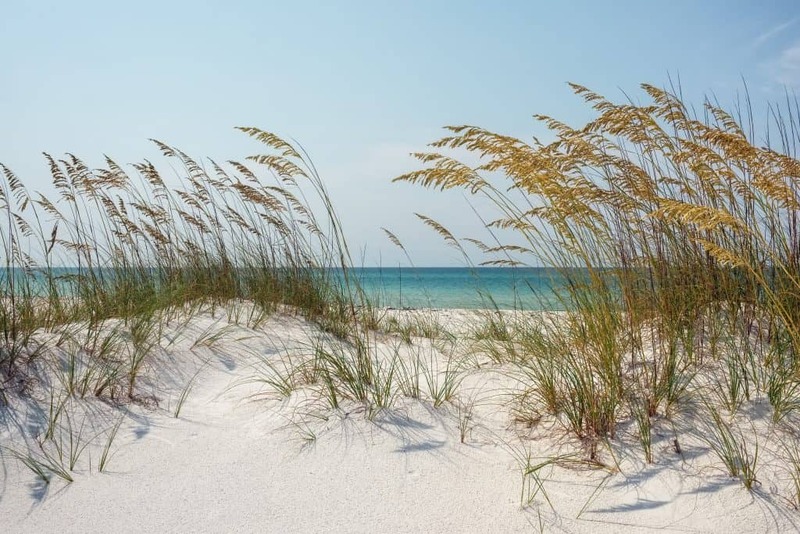 Grayton Beach takes pride in consistently ranking among the best and most beautiful beaches in the United States. This park has 4 miles of trails through forests, where you can take in the wildlife and plants, lakes, and coastal dunes. It’s $4 for single-occupant vehicles and $5 for vehicles with 2-8 people. Old RV campsites cost $24 per night (plus tax), and new campsites cost $30 per night (plus tax). There is a $6.70 reservation fee that is non-refundable. Both new and old campsites provide electricity and water, and they are steadily adding improvements to their sewer. Key Largo’s John Pennekamp Coral Reef State Park is one of a kind, offering an amazing glimpse into the underwater world. This is the United States’ first undersea park, and it is stunning! Visitors can enjoy 70 nautical square miles of rainbow coral reefs and marine life. You can either go on a boat tour or see them up close via scuba diving or snorkeling. Single-occupant vehicles are $4.50 each, double-occupant vehicles are $8 plus $0.50 per person up to 8 people. If there are over 8 people in your group, it will be $2.50 per additional person. Camping is $36 per person, with a maximum of 8 people per site. All sites include electric and water hookups. Imagine a majestic shoreline anchored by 30-foot, snow white sand dunes where basking in the Florida sun or wading into warm Gulf waters is the order of each and every day. As the last remaining coastal scrub area in Destin, Henderson Beach protects and preserves its natural features, including the wildlife and trails. You can come to camp, but it’s also a great place to hold weddings and family reunions. Single-occupant vehicles are $4 each, and vehicles holding 2-8 people is $6 each. More than 8 people is an additional $2 per person. RV camping is $30 per night. These sites include water and electric hookups. Once only for the rich and famous, savor natural luxury found nowhere else. Another park located in the Florida Keys. In the 20th century, Long Key was a personal favorite for the wealthy and celebrities, and it’s no wonder why. The park has spectacular views- from the wildlife to the sparkling Atlantic Ocean. You’ll most likely see herons, egrets, and ibis during your stay, and if you’re lucky you might spot white-crowned pigeons and roseate spoonbills. This park is famous for fishing, which you can do year-round, and all of its campsites border directly along the ocean. Park rangers hold events that allow campers to learn more about the park and enjoy a deeper experience. Out of all these parks, Long Key offers the least variety of amenities, but they make it up with several recreational activities, such as snorkeling, stargazing, and geocaching. Admission fees are $4.50 for one person, $5.00 for 2 people, and more than 2 will be $0.50 per extra person. RV camping is $43 per night. There are electric and water hookups, but they are located between campsites; an extension cord is highly recommended. St. Andrews has the Gulf of Mexico on one side and the St. Andrews Bay on the other. If you love the ocean and all the awesome activities that come with it- swimming, boating, snorkeling, surfing, scuba diving, you name it!- then you will love this place. St. Andrews has a lot of activities for you to do here, so hopefully, you won’t find yourself bored at any point during your stay. There are 176 campsites, which all have picnic tables and grills and are all a short distance from the beach, trails, and other amenities. Admission is $4 for single-occupant vehicles and $8 for vehicles holding 2-8 people. More than 8 people will have an additional $2 fee per extra person. RV camping is $28 per night (plus tax), and a $6.70 reservation fee. All sites include water, electric hookups, and dump stations. Stretching 20 miles into the blue waters of the Gulf of Mexico, St. Joseph Peninsula is a true wildlife haven. Beaches and marshes surround this park. St. Joseph Peninsula provides habitats for certain wildlife such as the snowy plover, three species of sea turtles, and the endangered St. Andrew beach mouse. 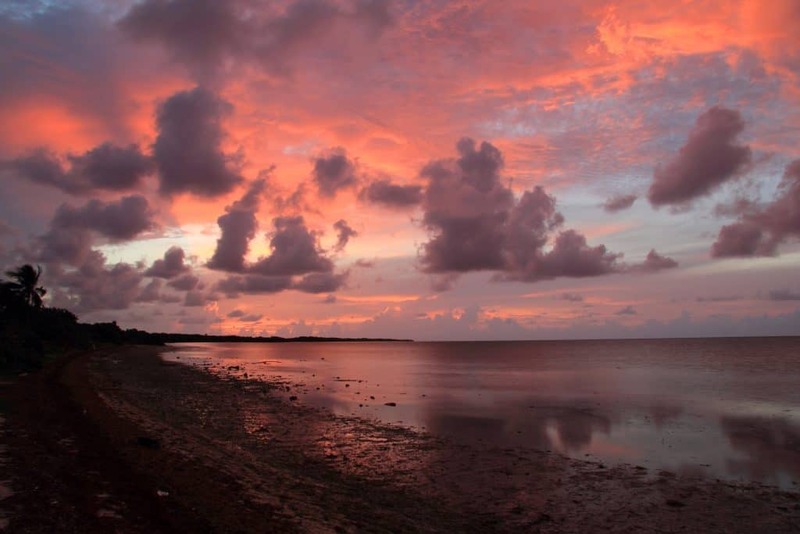 St. Joseph is a favorite for its swimming, fishing, and breathtaking sunsets. Along with over a dozen other activities and amenities, you’ll never have a boring moment here. Inside the park, there are about 4 miles of trail to bike through, and there is a 10-mile bike trail just outside the park. Admission is $4 for single-occupant vehicles and $6 for vehicles with up to 8 people. RV camping is $24 per night, and it includes water and electricity hookups. There’s the obvious ability to swim at these parks, but that’s not all these amazing RV parks offer. Each has several other activities for campers and visitors to create an enjoyable experience. State parks have several miles of trails for visitors to travel through. You could stroll through with a buddy and take in the views, go for an early morning jog, or bike through the trail and feel the crisp forest air on your face. It’s a great way to surround yourself with the native plants and animals that reside in the park’s forests. If you don’t bring a bike, you can rent one from the park. Prices will vary depending on the park. At the beach, there’s going to be a lot of water. This means that there are a lot of different activities that you can do during your stay. Especially with parks that have lakes, you can go canoeing or kayaking. It’s an incredibly relaxing experience to be surrounded by the sounds and sights of nature- I definitely recommend it while you’re camping. Out in the ocean, you can skate across the surface by surfing or windsurfing. Or, if you want to soak up the nautical views, you can go scuba diving or snorkeling. While you’re viewing the sea life, you can collect shells that you find and take home as souvenirs. The lakes and beaches at RV parks are teeming with fish. Most of these parks allow you to go fishing in designated areas and catch the species native to those waters. Depending on the park, some of these fish include trout, flounder, even oysters. Geo-seeking, also known as geocaching, is like a real-time treasure hunt. In this activity, you use your GPS to find hidden containers that hold little treasures. When you find one, you sign your name on a book, and you can take one of the trinkets inside the container. To keep the activity going, you need to leave something of equal or greater value and hide it once more for someone else to find. With millions of geocaches scattered around the globe- including state parks- you can find hidden gems and treasures, both in wildlife and from previous visitors. Said earlier, state parks are home to several bird, insect, plant, and animal species. Some state parks offer tours, where park rangers will take you through a trail to observe the wildlife and learn more about them. State parks have very small amounts of light pollution in the area, which means you can look up and see the stars blazing in the sky. There are always open areas where you can look up at the sky, whether through a telescope or laying on the beach next to a companion. When are open hours for these parks? All the parks listed are open from 8 A.M. until sundown. This means that closing time will vary depending on the season- winter will typically be around 5 P.M. and summer typically around 8 P.M. If you are camping, and you will be arriving after sunset, you need to call the park (available on their website) in order to get instructions so you can get inside. What is the weather like in the parks? Throughout the year, Florida has an average annual of 71-degrees Fahrenheit, and the months range between 58- and 81-degrees Fahrenheit. The winters might warrant a light jacket, but most times of the year, it will be warm enough where you won’t need extra layers.